Nicole Carlaw never gives up. 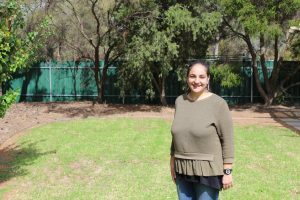 A Case Manager and Intake Worker with Centacare’s Outer North Youth Homelessness Service (ONYHS), Nicole will exhaust every option in a bid to find solutions for the challenges young people face. But sometimes even that is not enough. “We can’t see it as a failure if we can’t break the cycle, especially if the challenges are transgenerational and embedded,’’ Nicole says. It’s Monday morning, and Nicole is speaking at a routine ONYHS team meeting, where client assessments are presented and achievements or challenges are discussed. Today, the focus is on a family facing eviction from community housing into homelessness, due to debt and other non-compliance issues. For more than two years, Nicole has worked with the parents and their child, attempting to engage them – sometimes multiple times a week – and connect them to services and supports. The family has a long history of homelessness underpinned by childhood trauma, abuse, mental health, violence and other complexities. “The young people don’t have the same levels of maturity as those their age who have not experienced trauma, so their capacity to reflect and think logically is distorted,’’ Nicole says. Amidst the family’s “deficits’’, Nicole and the team continue to search for strengths. A week later, their perseverance pays off. The parents begin to engage. They apply for properties and bond support, reach out to mental health and start to pack their belongings. These might seem like small steps but, for this family, they are a giant leap forward. From July 2018 to March this year, the Outer North Youth Homelessness Service supported 346 young people – 211 females and 135 males, aged 15 to 25. “I’ve never had so many clients,’’ says Nicole, who is based at Nuriootpa. The ONYHS currently provides support to 24 young people in the region, compared with 14 at the same time last year. This week Nicole is urging the wider community to think harder about youth homelessness: “If people are choosing to be on the street rather than home you have to consider why that it is. Toula Stavropoulos considers herself a passenger on the ride of life with her clients. Each young person drives their story but Toula is a constant beside them, providing the supports they need to move forward. Staying positive is vital, a skill Toula learnt early in life when faced with her own adversity. Currently, I have 23 clients. That’s 23 different stories. It definitely has its moments and can be quite intense, but my work is also incredibly rewarding. That’s what keeps us in the job, because we are here to help, and the young people really appreciate that and identify with our support. You can have four seasons in a day. It can be quite heavy and I might feel a bit helpless depending where the young person is at and what has happened for them. I always try to remain positive and optimistic and provide that glimmer of hope because I like to believe that where there’s a will, there’s a way. It’s important our clients hang on to that positivity because they can have serious things going on. Our emotions can range from feeling sad and resonating with the client to reassuring them nothing bad lasts forever. He or she might be here right now, but in a few weeks that can all change. I’ve been at Centacare for six years. Prior to that I was working alongside Guardianship children and young people in residential care facilities. I always had great support around me – family and friends – and things did get better. I like to share the hope. I’ve been told I’m a sharp listener so I guess innately I like to help. I do believe there’s light at the end of the tunnel and life has its moments for all of us. We do go through struggles and hurdles but it’s our mindset that will help us get through those times. Sometimes young people can’t see the hope. But if there’s someone there that can show you and tell you that, I think it can make a huge difference in those dark moments. It’s important people are more open minded about homelessness. Everyone’s situation is unique. Yes, we might have those cases where people don’t want to live at home and abide by rules but that unfortunately isn’t so most of the time. These young people are dealing with significant trauma and their foundation isn’t there, and they are needing that service support to help get back on their two feet. My message on Youth Homelessness Matters Day is don’t be so quick to judge. These young people are stripped of their innocence way before us. They might only be 18 to 25 but this stuff has been occurring since they were little. Some people in their forties and fifties have never seen some of the stuff our young people have had to go through and view through their eyes. Carmel Groffen is a Case Manager with Centacare’s Outer North Youth Homelessness Service. Inspired to give back to the community she grew up in, Carmel supports young people living in transitional and emergency housing across the north. We are like warriors I guess. We’re there, every day, on the frontline, pushing through all the systems and inequality and structure to try and get our clients through to the other side. I can support the young people across any of the life domains. Anything that a young person identifies they want help with, I am willing to try and extend myself to provide. It’s about their goals and where they see themselves in the future. The young people have taught me a lot about patience. You learn so much from them, about their culture, their life. To have someone share that with you is really special. Most of the young people we work with don’t have much at all and it’s the little things that are special to them which we often take for granted. That’s a good reminder for all of us. Being able to work and have a roof over my head and provide for my family is a privilege. Every individual has a story so you can’t pigeonhole homelessness. It’s not the stereotypical person you see on a park bench that the movies portray. Your next door neighbour could be someone who’s homeless. You have those days when its 4pm in the afternoon and you have a young person crying on the end of the phone saying `I have nowhere to go tonight’ and you’re saying, `I’m so sorry, I don’t have an answer for you today’ and that’s something as workers we have to live with a lot. We get to go home to our beds every night and these young people don’t. There are so many things that people don’t realise that factor in their situation. It’s not just because they don’t want to live at home because of the rules. They might have a family that’s dysfunctional or unsafe, or they might not have a family at all. We’ve had situations where young people’s parents have passed away and they have ended up in the system because they can’t stay on in the family home. Sometimes they are homeless but they’re still trying to care for their siblings. That’s something I really wish the Government could see and witness – what it’s like to sit at the forefront of homelessness. It’s hard work but it’s rewarding work. You are dealing with raw emotion every day and sometimes you are sitting there just listening. That can be hard too, because sometimes you do want to jump in and respond, but you have to learn patience and flexibility. Giving young people a voice is one of the reasons why I chose this field. I’ve been with Centacare for eight years in the Outer North Youth Homeless Service and I’m still passionate about the work. This program is constantly changing and evolving. We are always trying to create a better quality of service for our clients. We look for their strengths and how we can support them. Sometimes our service might not be the best one for them so we work with others services that can meet their needs. We’ve definitely started to share the load more. Sometimes a young person will be referred to us and we know nothing about them. We don’t know their story but before they’ve even met you, they might have told their story five or six times already. At Centacare, we’ve really embraced trauma informed practice. We focus on the strengths and roll forward without that young person having to backtrack because that’s what can retrigger their trauma. As a team, we really band together. We are like individual bits of a jigsaw puzzle that fit perfectly together. We all have different skill sets that we bring so we can be there for our clients. Renae Heinrich is the first voice young people hear when they reach out to Centacare’s Outer North Youth Homelessness Service for help. As Intake & Assessment Worker, Renae provides on-the-spot referral, advice and other information over the phone to clients, based on their presenting challenges. Time is of the essence for Renae as she draws on 15 years of experience in community services to offer hope and understanding. We provide a service of some description to every single person that calls. Most people who ring are in crisis or they’re stressed about their situation. Some days it can be overwhelming because it’s just so busy; I literally pick up and put down the phone and it’s ringing again. It can go on like that all day, sometimes for several days in a row, even weeks. I always feel like I have to be one step ahead in finding an answer or solution when, unfortunately, there isn’t always one available. Even though it might not always be the response the young person is hoping for, I try and plant little seeds. One tiny piece of information I might give them may lead to other things changing, so it’s like a domino effect. Beyond the person, there are other criteria and situations and circumstances that might mean we are not the best service for them. That can be hard for a young person to understand when they’re in crisis, and sometimes they don’t take it that well. But most of the young people I speak to are grateful and just so happy to be talking to someone who can help. Some of their stories are heartbreaking. I think you learn to have those self-care barriers and boundaries in place because, if you didn’t, you would become overwhelmed by it all. Supervision, debriefing and informal support from the team is so important in these types of roles because you would just go home and cry every night otherwise. It can be difficult not knowing the outcomes. If a young person is living in a motel for a long period of time and they are ringing the service two or three times a week, you build up a rapport with them. But then they get a case manager or they move on to another service… I often wonder what’s happened for them. I know the team do an amazing job when they go past the assessment and motel phase, so I know they are in good hands. There are a lots of good parts and happy moments amongst the sadness. I tend not to look at the big picture and just take all the little steps that I can in between to get someone the solution they need. My inspiration hasn’t changed over the years. I started out wanting to create change and give people a voice when they didn’t always have one. Teens who fall into homelessness early are likely to spend up to a decade accessing supports. Through our Outer North Youth Homelessness Services, Centacare is building young people’s resilience, life skills and independence. Tina Breen does not forget names easily, nor the stories behind them. 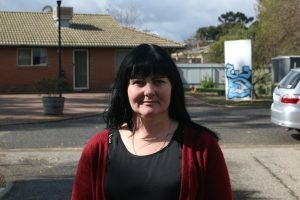 For the past four years, Tina has worked at Centacare’s Outer North Youth Homeless Services (ONYHS) supporting the faces of a growing problem. As limited exit plans stifle young people’s ability to move out of homelessness, Tina is reacquainted with the same characters time and again. She is touched by their strength, resilience and resourcefulness. Amidst the young people’s challenges, Tina (pictured) finds reasons to hope for the best. “Seeing their capacity to influence positive long-term change is invigorating,’’ she says. It’s a long road ahead for adolescents who fall into homelessness early. A 15-year-old entering the sector today is likely to seek support for a decade, Tina says. “There are minimal options for what seems to be maximum demand. “Even if we move them into independent living at 18, they are only given 18 months of stable transitional accommodation and then you’re still looking at another five years before they are able to be considered fully independent. That’s a long time. “We’re seeing more repeat customers than we ever have before. People we met for the first time at 15, 16 years reappear at 17 and 20, so they might be through our service three times in five years. The pathways are not there so they’re staying longer. This trend has prompted greater sector collaboration between service providers, with a focus on prevention and resolving conflict between young people and parents or caregivers. However, when family reunification is not possible, Tina says gaps in services are exposed because resources do not meet demand. This is coupled with a lack of affordable housing and the loss of stepping stones, such as direct lease programs. “Most of the support services cut off at age 25, but we know that for young people, especially with a trauma history, just providing them with a house is not going to solve their issues. Through the ONYHS, Centacare provides accommodation, case management, early intervention and outreach, post-crisis and wait-list support to young people aged 15 to 25 years who are homeless or at risk of homelessness across the Playford, Gawler and Barossa council areas. Many clients present with unresolved crisis, including childhood trauma and family breakdown. Centacare has access to 36 transitional housing properties in the area from Elizabeth to Nurioopta with young people given 18-month tenures to stabilise their circumstances and move towards private accommodation. The following example illustrates the types of support Centacare provides to young people living out of home. Sought support from Centacare whilst pregnant and experiencing family conflict. ONYHS provided her with an 18-month tenancy and case management. In addition, she engaged with Strong Start in the North, a program targeted at first-time mothers who are experiencing numerous complex issues. 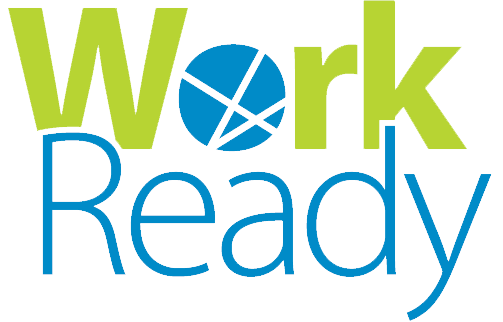 By working with them to develop their skills to cope with challenges, connect them to resources, and increase their parenting capacity, Strong Start seeks to support the development of children who may otherwise be at risk of adverse outcomes. The young woman quickly flourished, improved her language skills and moved into community housing. 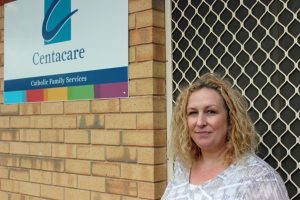 With Centacare’s support, she gained the confidence and independence to manage utilities, liaise with service providers and attend appointments on her own. In addition, she enrolled in education and facilitated childcare for her baby in order to move towards employment. This week we putting youth homelessness in the spotlight as we prepare to mark Youth Homelessness Matters Day (YHMD) on Wednesday (April 17). YHMD is a national campaign, held annually since 1990, aimed at raising awareness of youth homelessness amongst decision makers and the wider community. More than 28, 000 young Australians do not have a home, and the experiences and challenges they face each day are very real. In most instances, they do not have a home because they are escaping conflict and violence. They find it almost impossible to find a home because of the housing affordability crisis in Australia. The vast majority of young people experiencing homelessness are hidden from view in refuges, couch surfing situations and sleeping in cars with their family. Youth homelessness is complex. Youth homelessness matters. Through the Outer North Youth Homelessness Service, Centacare supports young people who are experiencing homelessness or are at risk of homelessness. This week we will be introducing the faces behind the service, which supported 346 young people from July 2018 to March this year. Being a dad is not easy, just ask Frank. In despair and out of hope, he turned to Dad’s Business for support. Two years on, Frank is now a volunteer with the program and yesterday he helped officially open the new Dad’s Business HQ at Elizabeth Rise Shopping Centre. “Before I joined Dad’s Businesses I was lost in what felt like a dark hole with no light to be seen,’’ he said. “Dad’s Business has been the best program and support outlet for myself which has taught me the skills necessary to see things from all different angles when it comes to my children in my life. The first space of its kind in the north, the Dad’s Business HQ provides dads with a safe space to seeking parenting and other supports. In partnership with Communities for Children facilitating partner Anglicare, Centacare oversees the site where dads can drop in for a chat and seek advice, referral to services, parenting education, advocacy, counselling, and support for alcohol and other drugs. At least five dads a day now visit Dad’s Business, previously run from the adjoining Playford Community Centre. Activities come from a place of hope and focus on building self-esteem and addressing shame through acceptance and honesty so that the dads recognise the value of fathers in family and children’s lives. Participants credit the program for empowering them as dads in a non-judgemental way. “I am a significant person in my niece’s life,’’ said a participant at the opening. Another participant said Dad’s Business had “empowered me to focus on my baby and my partner in a healthy way’’. “And now with a new baby on the way, it gives me a great head start,’’ he said. Speaking at the opening, Director Dale West said while Dad’s Business existed on minimal funding, it had a huge impact on the increasing number of dads engaged in the program. “Dad’s Business started back in 2011 and it’s a service we have believed in from that time and one that now finally finds its own home. Dad’s Business is an AnglicareSA Communities for Children funded initiative. Communities for Children is funded by the Australian Government Department of Social Services. For more information about Dad’s Business, please phone 82522311 or visit us at Elizabeth Rise Shopping Centre, Hamblynn Rd, Elizabeth Downs. Join us for South Australia’s biggest Closing the Gap Day event at the Adelaide Showground this Wednesday, March 27. The free all-ages event will bring together the Aboriginal, Torres Strait Islander and wider community to share information and take meaningful action in support of achieving Indigenous health equality by 2030. Centacare will be among the stallholders. Come along and meet our CDAS team and staff from the Otherway Centre, home of the Aboriginal Catholic Ministry in Adelaide. The Closing the Gap Day celebration will feature a bunch of special guests including Sydney Swans legend Michael O’Loughlin and comedian Joshua Warrior with music from roots band the MERRg (unearthed by triple j) and performances by Dusty Feet Mob, a Port Augusta-based Aboriginal dance group. There will be free general health checks and plenty of fun for children with a jumping castle, bumper cars, face painters, SPECKY inflatable footy games, a reptile zoo and more. This event has been made possible by funding from the Adelaide Primary Health Network. Thank you to event partners, Nunkuwarrin Yunti & SA Health’s Watto Purrunna Aboriginal Primary Health Care Service for hosting such an important celebration. See you there! Leah Ngugi spent her formative years in rural Kenya on a large coffee plantation owned by her grandmother. It was here that she learnt the value of ingenuity and to stand up for what is right. “My grandmother was a very strong woman,’’ says Leah of her namesake, a widower and mother of 10. This included bravely defying entrenched gender roles that manifest violence against women. “My mother and her sisters were the first females in their family not to go through genital mutilation because my grandmother was adamant they would not experience that,’’ says Leah, a Family Preservation Worker at Centacare. When Leah moved to Nairobi aged seven, her grandmother’s influence stuck as her sense of social responsibility grew. Kibera, the largest urban slum in Africa, adjoined her neighbourhood and brought class difference into glaring focus. Each day Leah would watch children walk through squalor to school, frustrated that she could not help. Her chance came years later while working in sales and marketing. As part of the company’s corporate social responsibility, Leah visited an orphanage where she met a brother and sister. Leah kept in touch with the siblings and sent them money for food and school. “Then one day I got a call from the girl’s brother telling me she had committed suicide. I’ve never made peace with that because I feel like the system let her down. There was no advocacy to connect her to services. The girl’s death proved a catalyst for Leah. 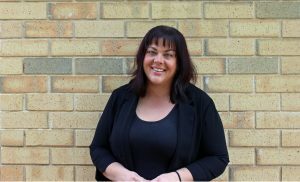 Stifled by domestic challenges and determined to change direction for the sake of her own children, Leah migrated to South Australia in 2017 to study a Masters of Social Work. “I know of many women who would want to break free from terrible domestic experiences and restart their lives with their children but are too scared to deal with the associated traditional and cultural stigmas,’’ she says. Leah, which means nurture in Swahili, says she has learned much from the families she supports through the Family Preservation program. The service works to address safety concerns and other lifestyle factors affecting ability to parent in families with children from birth to 18 years who are experiencing abuse or neglect. *Harmony Week celebrates Australia’s cultural diversity. It’s about inclusiveness, respect and a sense of belonging for everyone. Amina Mujkic was just two when war erupted in Bosnia. As shells fell on Sarajevo, Serb military stormed Amina’s hometown. Families were sent scattering and the fight for survival began. Over many months, and with her ailing grandmother by her side, Amina was carried from place to place by her then 20-year-old mother. They had little food and few possessions. The trio lived in constant fear of the fate that had befallen Amina’s father and grandfather but they never lost hope they would one day see each other again. This is Amina’s story. When the war started we were living with Dad’s parents in our hometown near the border with Serbia. The political situation in the region was getting worse but people continued to live their lives. I don’t think anybody could comprehend what ended up occurring until it started to happen. On the day we left our family home, Dad and Grandpa were at work. Mum was giving me a bath and Grandma had bread baking in the oven. Suddenly, one of our relatives came running down the street yelling at us to look outside and run! Looking out the window, Mum could see army trucks and tanks driving towards us. Everybody was in a panic. The gunshots started immediately. Mum grabbed me, and a backpack with some baby clothes, and ran out with Grandma. The only place we could run to and hide was the nearby mountain forest. People scattered through the foothills and into the forest. Thankfully, Dad and Grandpa were somehow able to make it back and find us. We ended up at the top of the mountain. This was a safe place to hide because the forest served as camouflage and the cliffs were only accessible by foot. The trucks and tanks couldn’t get to us. Life as we knew it was over. The battle for survival started that day – to survive the guns, bombs, starvation, freezing cold, snowing winters. We lived like this for three years. At the time it was still summer, so we had some supplies to last a little while including the fruit and vegetables that people had grown in their gardens. But we had no shelter. We were living like animals in a forest, making shelter out of tree branches. The enemy army had set up bases along the surrounding mountains so they could control and attack the towns and villages. My Grandpa likens it to being ‘in a bowl in their palms’. From this point the attacks became a daily occurrence. At nights, my parents would make the trek down the mountain to our home to sneak supplies out of the house or pick vegetables from the garden. They knew they were risking their lives but at least in the dark of night they were less detectable by snipers. Then they had to make the trek back up the steep mountain in the pitch black carrying 20-30 kilograms on their backs. I remember going to a lookout with my family, looking through binoculars and watching near-by houses burn. Weeks later our house was burnt down too – there was no going back. About that time, I got very sick. There was no access to doctors or medicine. My family thought I had eaten plums that may have had bomb residue on them. They thought I’d been poisoned. I barely ate anything for weeks apart from honey that someone had given to my family in hope of helping me. I eventually got better. As the winter approached, people living in the forest built timber cabins for shelter. My Dad’s uncle built one for our family. The cabin was purely a place to sleep – we had no water or electricity. Grandpa walked an hour each day to collect water from a spring so we could bathe in a makeshift bath in the woods. One day when collecting water, a grenade dropped next to him and he was wounded. Thankfully, it fell into the mud, which lessened the explosion, otherwise he would have been killed. There was no medical help – you lived or you died. When the winter started, life got even more difficult. Imagine a freezing, minus 10 degree winter, two-metre snows… There were wood fires that kept people from freezing but then the food shortage came. People were forced to trek through the snow, sometimes for 12 hours or more, to neighbouring towns to find food or beg for food. Money was worthless. People exchanged goods such as jewellery for cornflour, all the while at risk of an ambush. Grandpa, Mum and Dad did this trek countless times. Grandma was too weak to go anywhere so she looked after me. Each trip was a goodbye, maybe forever. When the cabins on the mountain became unliveable and we ran out of food, our only choice was to make the trek as a family to the nearby town of Srebrenica. At this point, we only had corn bread and homemade fruit syrup for me to drink, which ended up freezing in the snow anyway. Eventually, the food supply in Srebrenica diminished too. Grandpa remembers going into someone’s house to ask for food. The woman in the house told him `I don’t have anything to give you apart from this matchstick, hopefully you can light a candle’. People wanted to help even though they had nothing to give. People started to die of starvation. The Serb Army was controlling food aid – sometimes they’d let some food trucks pass, other times they wouldn’t. Thankfully, we started to receive international food aid by air. Aeroplanes would drop food pallets into the snow attached with some kind of glow sticks so people could find them. Again, it was a trek through the snow to find the pallets, sometimes to fight with other starving people for food to feed your family. It was impossible to leave the region and the bombings continued on a regular basis. Every day there was news of another relative and friend being killed. Soon after we left Srebrenica for another town, Zepa, in search of food and shelter. Somehow we survived that winter, and the next after that. We were lucky to leave Srebrenica when we did because in July 1995, the Serb Army systematically killed more than 8,000 Muslim men and boys. This town had been declared a `safe area’ by the United Nations Security Council but to no avail. In the same month, only a few days later, there was an arrangement made to allow the evacuation of women, children and the elderly from Zepa. Buses and trucks were arranged for us in a UN protected area where we would board and be transported into a Bosnian controlled town. That’s when we separated from Dad. I remember the emotion of that day. Even though I was only five years old, I remember everybody crying. Everywhere I turned, people were screaming and crying and hugging. I didn’t realise at the time I was saying goodbye to my Dad, maybe for the last time. He was going to try to escape on foot. Grandma made him a packet of crushed walnuts and sugar; that was all he was going to have for food. We said goodbye and then we got on a bus. We had to go through a few different Serbian Army checkpoints along the way. At one of the checkpoints, Grandpa was taken off the bus under the pretence that they were going to verify his ID, but we all knew that wasn’t the case. They must have considered him too young to be let free. I remember that moment. People were afraid to speak because there were men with guns entering the buses and patrolling around outside. Everyone was shocked and afraid. I remember Grandpa standing by the bus as we pulled off. He had on a white shirt. I just remember him in the distance in his white shirt. I can’t imagine what Mum and Grandma were feeling at the time. They had just said goodbye to Dad not knowing if they’d ever see him again, and then Grandpa. Mum tells me that in the coming months as another cold winter came, she constantly thought of Grandpa, and how he had been left on the side of the road with literally nothing but the shirt on his back. She blamed herself for not thinking to give him a jumper as he left. Sadly, he suffered more than just the cold because he was taken to a concentration camp. Back on the evacuation bus, we were dropped off in no man’s land. We were to walk between enemy lines into the safe area. Everybody was running past us and we were falling further and further behind. Mum thought we were going to die there because she couldn’t walk fast enough. Grandma was extremely sick at the time. Mum was trying to carry Grandma, me and two backpacks across the line. She was physically and mentally exhausted. Thankfully, a UN jeep had been picking up the stragglers, and we were the last ones to get away. We went to a Red Cross camp where we were given food and water and could report who was missing from our family. Then we were taken to live in an abandoned house in a nearby Bosnian controlled town. We had no news about Dad. We prayed for the best but were well aware of the danger he was in. He began the trek with a group of friends but in the end found himself wandering alone. Landmines, barricades and ambushes had dispersed the group. Many never made it out alive. On one of the days, Dad was taking a rest, sitting up against a tree in a forest when a Serbian Army soldier, holding a rifle, appeared walking towards him. Dad thinks he was on a patrol – on the lookout for people like him. They looked at each other and froze in shock. He said to Dad something like, “God help you’’ or “God speed’’. Dad answered in the same vain and the soldier just kept on walking. He had a gun but he didn’t shoot my Dad. That has always stuck with me; the humanity of it all. Here you are faced with another human being around the same age, probably having led a similar life up until the war started, and here you are now. What do you do? You do what comes to you naturally which is to say hello and wish them well. Sadly, that was short lived. The soldier must have made it back to his base because the trees around Dad were then peppered with bullets. He survived. One day he came across a road and heard people talking and laughing. He found himself in a hill overlooking a Bosnian-controlled town. He remembers hearing people calling out to each other by Bosnian names and seeing Bosnian Army flags, but he thought it was all a trap – he was exhausted and paranoid. He says that he eventually made peace with the fact he was going to die and proceeded to walk onto the road in the path of an oncoming car. As it turns out, he was finally safe. The people in the car were Bosnian soldiers. They were shocked to see him coming out of the wilderness – survivors on foot were a rare occurrence. I can’t imagine how he must have felt at that moment. To finally be safe and have strangers hug and welcome him like an old friend. They took him to a hospital where he realised he had no soles left on his shoes. He doesn’t remember how long he’d been walking for barefoot. He had blisters and sores on his feet but his brain never registered them. Dad was able to reconnect with us through the Red Cross channels. At the time, we were sharing a house with another grandma/daughter-in-law pair. Dad was dropped off to us late one night by the Bosnian soldiers. We were afraid to open the door at first when we heard them knocking, but we did – and there was Dad. The other women were so happy for us and just so glad that someone was back alive. It was a bittersweet experience for us because these women weren’t getting their loved ones back. Thousands of women never saw their husbands, sons, brothers again. With Dad back, we tried to make moves further into safe territory where Mum’s brothers and parents lived. We found an abandoned house and stayed there for a while. We still knew nothing about Grandpa, where he was, or whether he was alive, until one day we received a letter through the Red Cross channels. He couldn’t write much in the letter because they were monitored by the Serb Army, accept for that he was fine and was being treated well, but that wasn’t the truth. He’d signed off by saying `look after my Amina’. We didn’t know anything else until a few months later when he was part of a prisoner exchange. He got out. He experienced some horrific things in the months he was held captive, but he was one of the lucky ones. Back when he was taken off the bus, he was one of 43 men to be captured. He thinks they were held in some kind of industrial animal sheds. I asked him if there were other groups of men there. He said they never saw them but he heard their screams and gun shots. Despite all of this, my family was one of the lucky ones because we were reunited. At primary school, I was in the minority because my father was alive. That was rough – so many kids were left fatherless by the war. When I think about all of this now, and what my parents and grandparents went through with no support, I wonder how they kept going. I guess their therapy was each other because they all lived through the same thing. In 1995 the war finished and in 2001 we all came to Australia. After the war, Bosnia was in ruins. Everything from government to infrastructure, education, jobs and healthcare was a mess. By then, my little sisters had been born and Mum and Dad wanted to get out of the country so we could have a better future, a safe life and an education. You go from one loss, where you’ve said goodbye to people during the war – some forever – to saying goodbye again, but this time to move to the other side of the world. Mum didn’t know for years if her brothers had survived, and when they were finally reconnected, they faced a really tough decision to say goodbye again. On the day we left Bosnia, all of our neighbours and relatives came to say goodbye. Everybody was crying again. I think people had simply gotten tired of saying goodbye. Masses of people were leaving the country at the time in search of a safe and better future. We got in a van and went to the airport and that was it. It was my first time in an aeroplane. We landed in Adelaide with a bag each of clothes. I was 11 at the time. Landing in Adelaide I remember thinking Australia is so flat, and red, and calm. Being so young, I was able to really fit in quickly and learn the language but it was tougher for my parents. I knew some English from Bosnia and I was picking things up very quickly, but that meant I was a parent to my parents a lot of the time. I was at the doctor’s, I was at Centrelink, the bank… Every adult conversation my parents had, I had to be a part of because I was the interpreter. I grew up quickly from that point of view but we were really supported when we arrived by social workers and others in the community – people we’d never met before. My parents wanted to build something of their own. They worked hard doing various jobs so they could buy a car, then a house, and start over. Grandpa appreciates life in Australia very much. Much more than I would have expected from someone who spent the majority of his life in Bosnia. I think he feels let down by his own country and has many traumatic memories which are in contrast to a safe and welcoming Australia. All of us feel so lucky and grateful to be here. Australia has such a welcoming, diverse culture. We have all been back to Bosnia. We still have a lot of relatives there. After each visit the goodbyes are always hard because every time you think you are saying goodbye for the last time. My first return trip to Bosnia was very emotional. The smell of the air brought back so many memories. Walking down the street and smelling the food and eating a tomato from someone’s garden; those sensory experiences brought back many memories. In 2015, I went back to the cabin where we stayed at the start of the war. We found some of my old clothes in the rubble, a jumper, a pair of boots. It was incredibly tough being back there. My parents hold a lot of nostalgia for their life in Bosnia. They want to go back because their life was taken away and they think each time they do go back that they will regain bits of what they lost. But I think every time they realise that life is just so different now. As I’ve grown older, I’ve gotten more appreciative of the sacrifices they made for us, their resilience but also of their loss. They didn’t have their twenties. They lost their home, their possessions, friends and relatives. How do you ever make up for that?